The Itallian brand Automobili Lamborghini S.p.A. is a well known manufacturer of luxury supercars, sports cars, SUVs based in Sant'Agata Bolognese. The company is owned by the Volkswagen Group through its subsidiary Audi. Ferruccio Lamborghini founded Automobili Ferruccio Lamborghini S.p.A. in 1963 to compete with established marques like Ferrari. The company gained wide acclaim in 1966 for the Miura sports coupé, which established rear mid-engine, rear wheel drive as the standard layout for high-performance cars of the era. Lamborghini grew rapidly during its first decade, but sales plunged in the wake of the 1973 worldwide financial downturn and the oil crisis. The firm's ownership changed three times after 1973, including a bankruptcy in 1978. American Chrysler Corporation took control of Lamborghini in 1987 and sold it to Malaysian investment group Mycom Setdco and Indonesian group V'Power Corporation in 1994. 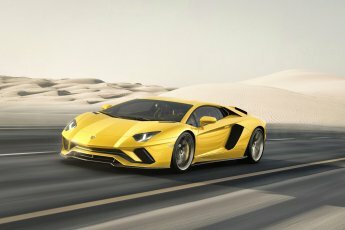 In 1998, Mycom Setdco and V'Power sold Lamborghini to the Volkswagen Group where it was placed under the control of the group's Audi division. 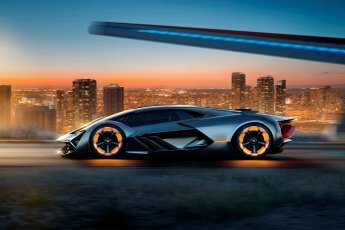 New products and model lines were introduced to the brand's portfolio and brought to the market and saw an increased productivity for the brand Lamborghini. In the late 2000s, during the worldwide financial crisis and the subsequent economic crisis, Lamborghini's sales saw a drop of nearly 50 percent.